There isn’t a single moment that goes dull when you have a little one in your house. However fleeting these moments be, there is always a dream to capture all these beautiful moments forever. After all, these are memories that will be cherished forever, right?. From the day your little ones open their eyes to the time they hold your hand with their tiny fingers and take the first step, all these delicate moments, if captured well, turn in to a series of beautiful images that preserves the essence of their innocent childhood. 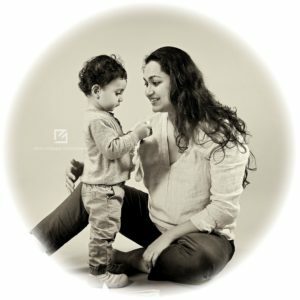 Parenting is not only a great experience, it is also a ride full of learnings, emotions, self-development, and various realisations and so on. I am sure every parentwill agree to the fact that life takes a complete 360 degree turn when you have a baby in the house. Thanks to the smart phones, every mother has a huge bank of images of their children while growing up. They try and capture as many moments as they can with their camera phones, but is that it?. 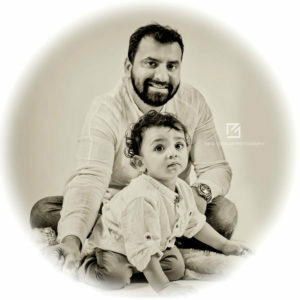 While they do their best, most of the times even when they want to share the frame with their little one, it’s either a selfie or a shaky image clicked by others, mostly husbands if we may say. Everyone tries to do justice to it, but a moment once gone, is not easy to recreate with the baby. Wait-a-minute, what if we want a family portrait? Timer, maybe? Well, we all manage somehow with this. Remember when we used to sit down and flip through our old childhood albums? All those beautiful memories of an innocent childhood, carefully clicked pictures with our parents in a studio or at picnics come back to life even now the moment we see them. The feeling is great; one such album with 15-20 leaves is enough to make us nostalgic of the moments that will never return. If we see today, with over 1,000 or more images stored in our computers or phone memories, how much time do we have to go through each photograph? How often do we all sit on a single computer or phone, together, to revisit the memories with our family and friends? Too many to flip or select right. When our parents wanted to capture our childhood, they took us to the studios to get picture perfect photographs that could be framed forever. Then why should we not do the same for our babies! Why not hire a professional to help capture the most delicate moments of our child right there in our own homes? It is not quantity of images that we need, we need quality. The firsts of our child captured in the most exquisite manner, making it priceless. Picture perfect photographs that can be framed and put across the walls of the house, on the work desk to keep looking at it while we work, to upload and share with the world socially. This is what we want right. This is the gift I would want to give my children, so when they grow up, they know exactly how beautiful their childhood was for us. 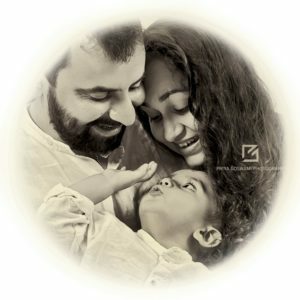 I wouldn’t mind a photoshoot for my little ones, it is a gift of a lifetime that I am planning for them, and I would love to see their happiness when they see the warmth in this well-thought present. No price is high for preserving memories, they are priceless, simply priceless. If you think again, a photoshoot also makes for an amazing gift for baby showers, birthdays and gatherings too, isn’t it?